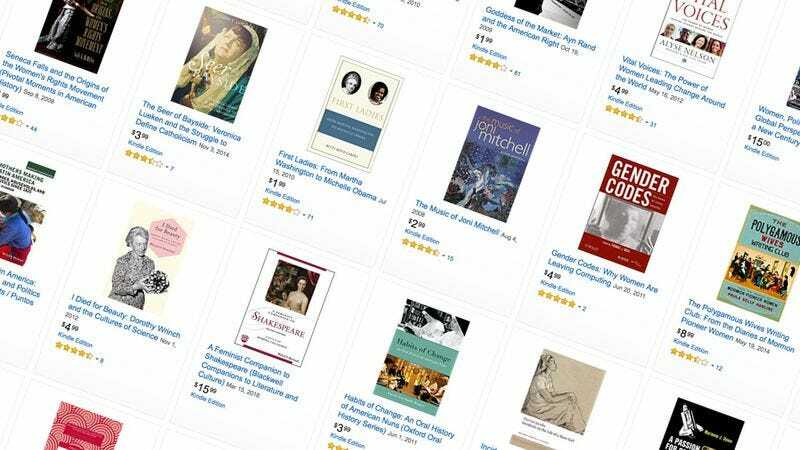 Amazon’s commemorating International Women’s Day with a huge sale on Kindle ebooks written by and about women. Every title here is priced at $5 or less, so there’s no reason not to stock your digital shelves. The PS4’s new firmware update drops tomorrow, which means everyone will finally be able to start storing their games on external hard drives. If you still haven’t picked one up, Toshiba’s Canvio Connect II 2TB is currently down to its lowest price of the year. Anker’s new PowerDrive 2 Elite can output 12W on both ports simultaneously, and it looks really nice to boot. Use promo code KINJA212 at checkout to save $6. If you’re still rocking an old 802.11n wireless router at home, you can upgrade to a popular TP-Link Archer C9 for $94 today (with code 20TPLC9), within a few bucks of an all-time low, and the best price of the year. Nearly 6,000 5-star reviews can’t be wrong! I have no clue why Amazon’s promoting paper towels as one of its Gold Boxes, but I do know it’s a great deal. $22 (or $21 with Subscribe & Save) gets you 16 extra large Brawny Pick-A-Size rolls, today only. Still haven’t made the transition to LED? Amazon will sell you a 6-pack of highly rated TaoTronics soft white bulbs for just $12 right now with promo code ZTF822WF. These put out the brightness equivalent of a 60W incandescent, but with only 9W of electricity each. Plus, many local utility companies offer rebates when you buy these things, so they should pay for themselves in short order. Note: These bulbs aren’t dimmable, which isn’t surprising at this price, but just make sure you’re aware. Vacuum insulated stainless steel is the best way to hold your favorite drink, and this massive 40 ounce Thermos can keep a beverage hot or cold for a whopping 24 hours straight. Name brand or not, $23 is a fantastic price for any vacuum-insulated container of this size.